Currently, there are over 660,000 different podcasts produced throughout the world. Over 28 million episodes are available in more than 100 languages. 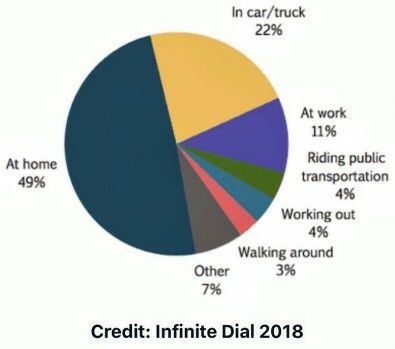 More than 50 percent of U.S. homes listen to podcasts regularly and most listeners average seven different shows each week. For a medium that has existed less than 25 years, those numbers are staggering. 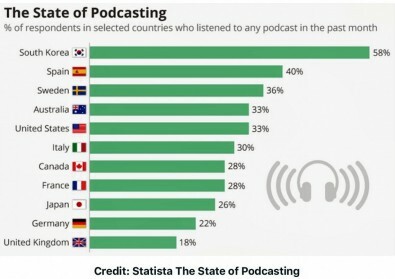 Obviously, this means podcasts are experiencing explosive growth. With this comes an expansion of the studios and equipment used to produce them. Where to people listen to podcasts? 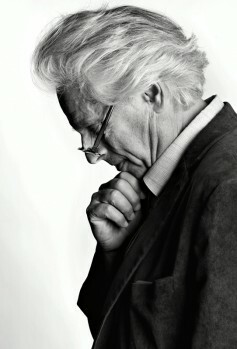 John Storyk, an architect, acoustician and principal at Walters-Storyk Design Group, is one of the best known recording studio designers in the world. He sees a big future for podcasts. Storyk began his career in 1968 with the design of the Electric Lady Studios for Jimi Hendrix in New York City. Since then, he and his staff have designed about 4,000 professional audio recording and video production/post-production studios, performance venues, sports, houses of worship and educational facilities. Recently, Walters-Storyk Design Group (WSDG) designed small podcast-style studios for Gimlet Media in Brooklyn, New York, Audible in Newark, N.J. and E.W. Scripps’ Midroll/Stitcher in New York City. 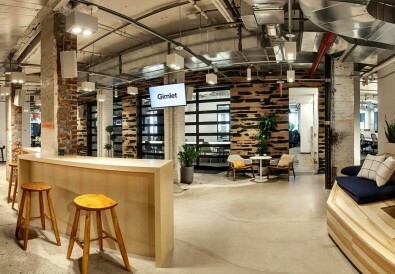 Last month, music streaming service Spotify announced it had entered into a definitive agreement to acquire Gimlet for $230 million. Audible Studios is owned by Amazon and is the world’s largest producer of downloadable audio books. Though the design of these small studios is unique, the general physics of sound design apply to all studio spaces. “Podcast studios are a subset of recording studio design. It doesn’t mean they are easier or don’t have challenges. 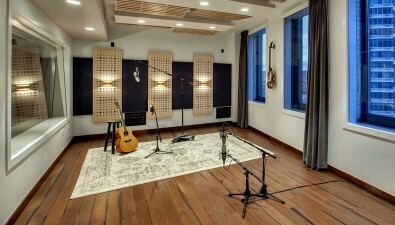 They require the same isolation and acoustic principles that studios require. I call podcast studios small format local streaming studios,” said Storyk. Facilities like Gimlet Media have 13 studios and 20 podcast hosts working in less than 3,000 square feet of space. The studios are next to each other. Because multiple projects are going on simultaneously, this requires robust isolation between studios. The air conditioning needs to be very quiet, which means larger ducks. One of the most challenging situations at Gimlet Media was the different rooms — some with outside windows and all different sizes — had to sound exactly the same. This is different than traditional recording studios, where some difference is desired to give the room a distinctive sound. Finally, most podcast studios WSDG has built also have a music recording studio. “What does that tell you? All of them want to put music in their podcast productions. They don’t want to buy the music, they want to make it,” said Storyk. Austin Thompson, technical director at Gimlet Media. 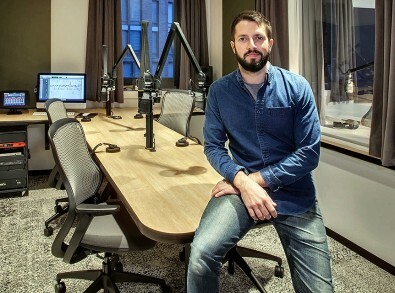 Austin Thompson, technical director at Gimlet Media, noted that one of the most unique characteristics of a professional podcast studio is the self-operated workflow. Gimlet uses OSC’s Q-SYS, a system that offers audio, video and routing control features at the software level, which means users don’t need dedicated hardware like most other systems require. Based on an open IT-friendly ecosystem, the Q-SYS platform is highly extensible for future IT functions and platforms. “In our facility, Q-SYS acts as an audio and video DSP and routing system. 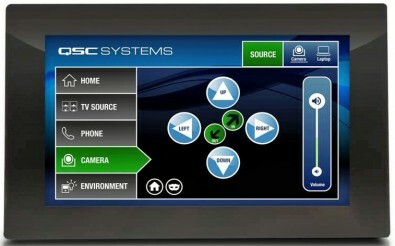 All of the signals in our studios and conference rooms travel in and out of this Q-SYS system. It routes audio to different rooms and different headphone mixes. Every room has an Avid Pro Tools system. The files are stored in the local system and on a remote file storage server. Podcasts are increasing in popularity and WSDG views the trend as a big part of the company’s future business. Storyk sees podcasting as a growing player in the broadcast business. 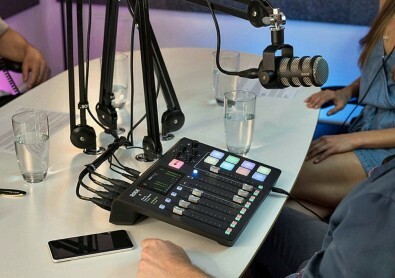 RØDECaster Pro provides one solution to the need for a versatile and cost-effective control system for the one-person-operation required by podcasting. “I was in Sydney, Australia recently and toured the RØDE factory. Peter Friedman (RØDE’s president) is right on the money when he said his company should enter podcasting. They expect to sell over 1,000 of their new RØDECaster Pro podcast systems the first year. That box is very sweet and simple to use.